Since global warming was announced as a threat facing our planet, many people have come to believe that greenhouse gases are bad – but without them, life on earth might not exist. And if it did, things would be very different! Experts believe that without greenhouse gases, the average temperature of the planet would be an extremely cold minus 18 degrees Celsius. The fact is that greenhouse gases have long helped to warm up the Earth. The problem today is not that they exist, but that their concentration has been increasing since the industrial revolution. This means the planet is warming at a much faster rate than it would otherwise. 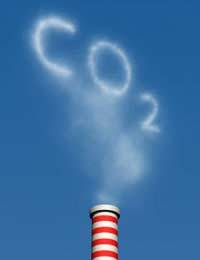 Carbon dioxide – C02 – is one of the main greenhouse gases and levels have increased by more than 30% since the 1700s. Scientists believe that mankind is primarily responsible for this increase – through industrialisation, energy generation, transport and the burning of fossil fuels. In fact, some experts believe that the burning of fossil fuels is responsible for at least 60% of the increase in carbon dioxide in our atmosphere, and that’s one of the main reasons that plans for new coal-fired power stations are so controversial. Other sources of carbon dioxide include volcanoes, de-forestation and forest fires, while methane, another greenhouse gas, is produced from landfill sites, organic decay, cattle, the extraction of natural gas and oil, the burning of biomass and rice cultivation. However, methane levels are less than two parts per million in the troposphere, compared with carbon dioxide which is now more than 350 parts per million (ppm). Manmade CFCs at 880 ppm are a significant source of greenhouse gases, which is why international efforts, including the Montreal Protocol, have been launched to ban their use. Ozone itself – while vital to us in the stratosphere – is also a greenhouse gas at earth level and regarded as a pollutant. It is an ingredient in photochemical smog, which is created by activities such as the burning of fossil fuels. One of the problems facing us at the moment is that there is still so much to learn about greenhouse gases, our atmosphere and climate change. For example, when CFCs were first invented they were welcomed with open arms because their ozone-depleting properties were not recognised. Similarly, many people applauded the growth in biofuels as a substitute for fossil fuels, but in 2007, Nobel Prize-winning scientist Paul Crutzen urged caution. He claimed that the growing of some of the more common biofuel crops releases twice the amount of a potent greenhouse gas, nitrous oxide, than previously thought. If this is the case, it could wipe out any potential benefits of using biofuels and could even worsen the global warming problem. In 2007, the United Nations said carbon dioxide had reached the highest concentration ever recorded. The major factors involved are thought to be the burning of fossil fuels and the loss of trees, which absorb carbon dioxide. However, levels of CFCs are now dropping thanks to the Montreal Protocol and subsequent agreements.